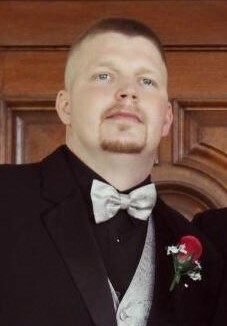 Jeremey Michael King, age 34, of Troy, formerly of Hamilton, OH passed away on January 28, 2019 at Drake Center, Cincinnati after battling glioblastoma brain cancer since 2013. He was born on December 23, 1984 in Cincinnati, OH. He is survived by his father and step mother: Floyd Michael (Beth Dare) King of Hamilton; mother and step father: Diane (Mauldin) and David Stephens of Troy; siblings: Allisha Bartley of Troy, Samantha Rearick of Hamilton, Brandon (Ciji) Rearick of Hamilton, and Marissa Baker of Hamilton; nieces and nephews: Andrew Bartley, Troy Rearick, Lahyla Trimble, Hannah Littlejohn, JoAnna Lyttle and other nieces and nephews; grandfathers: John Mauldin of Covington and Lloyd Brewer of West Chester. Jeremey was preceded in death by his brother, Victor Steele III and grandmothers: JoAnn Brewer and Virginia Kay Mauldin. Jeremey attended Northmont and Hamilton High Schools. He loved his family and sports, especially fishing. He was known as a jokester. Jeremey worked at the family business, Lloyds hardwood flooring in West Chester. Services will be held at 1PM on Monday, February 4, 2019 at the Baird Funeral Home, Troy by Pastor Dale Christian. The family will receive friends prior to the service from 11AM - 1PM on Monday at the funeral home. Interment will take place in Riverside Cemetery, Troy. Memorial contributions may be made to the family to help with expenses. Condolences may be expressed to the family through www.bairdfuneralhome.com.